Free of chloride, sodium and other detrimental elements for plants. 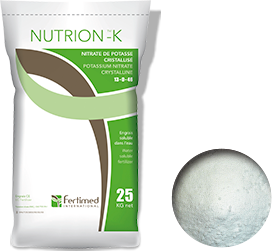 It is the only fertilizer capable of supplying potassium and nitrogen simultaneously to the plant. It is composed exclusively of nutrients (nitrogen and phosphorus) suitable for maximum absorption by plants. Develops the root system of vegetable crops, young plants and tree nurseries. It is suitable in fertigation for the early stages of crop development. Find our products easily by selecting the appropriate category and application. 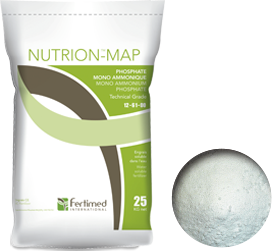 Fertimed offers a complete range of products for a high quality plant nutrition. Sign up to Fertimed.fr and access to exclusive content and tools to manage better your plant nutrition. Click on the button bellow to start now.